Starbucks makes more than coffee. Have you tried their Starbucks Passion Fruit Lemonade? If you go to Starbucks only for coffee you are missing out on a whole side of the menu full of non-coffee drinks. They have hot and iced teas that are delicious. They also have non-coffee frappuccinos that are a nice treat. And we can’t forget all their pastries, sweets and lunch items. There is a whole other world of goodies to order besides coffee. I hate to tell you how many times I have gone to Starbucks and ordered this Passion Fruit iced tea. I would tell you, it’s been more time than I should have. I didn’t earn that gold status by accident. The secret to the Passion Fruit iced idea is using the Tao Passion Fruit Tea, you can buy this tea on Amazon, or in many grocery stores. The passion fruit lemonade is one of those non-coffee drinks that will likely become a new favorite after you try it. 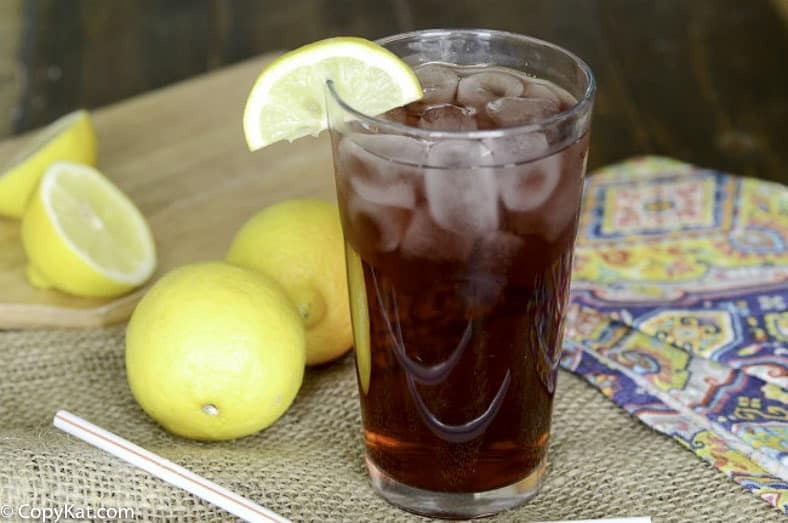 It is made with passion fruit tea and lemonade and is the perfect combination of sweet and tart. The passion fruit lemonade combines hibiscus, lemongrass and apple to create a truly unique drink. The addition of lemonade make its even more refreshing. 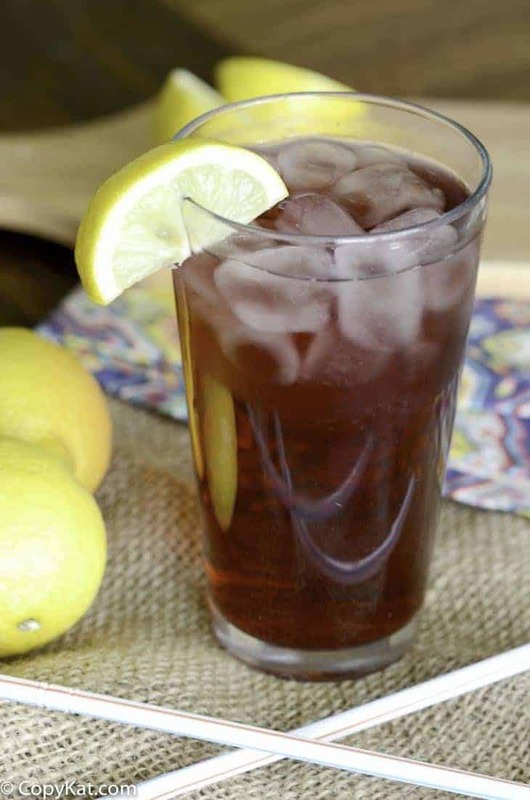 It is a version of the well-known Arnold Palmer drink. This copycat Starbucks drink is a nice cool treat on a warm day or when you might not want a coffee. The great thing about this drink is that you can make it at home for a fraction of the cost. The recipe below makes a pitcher of the passion fruit lemonade so you can keep it in the fridge and have it on hand. You can pick up the Tazo passion fruit tea at your local grocery store in the coffee aisle. They have an iced passion blend that is perfect for re-creating this yummy drink at home. Do you love Starbucks recipes? Be sure to check out my new ebook Copycat Coffeehouse Recipes. There are over 40 copycat coffeehouse ecipes. Recreate the Starbucks Passion Fruit Lemonade with this easy copycat recipe. Bring 4 cups of water to a boil. Carefully pour hot water over the tea bags in a large pitcher. Steep the tea for 5-10 minutes. Remove the tea bags. Fill the remainder of the pitcher with lemonade. Store in fridge. The perfect drink before I head back to my crypt to lay in repose.